A cheese platter is a winner at any social gathering, any time of year. Nathan Johnson, head chef at Felix and ivy, shares his top 10 tips for creating a next level cheese platter that will impress your guests. Plan for about 120 g of cheese per guest. Visit a specialty cheese shop as it will allow you to taste the cheese before buying. If you’re time poor, the Smelly Cheese Shop has a great selection you can order online. 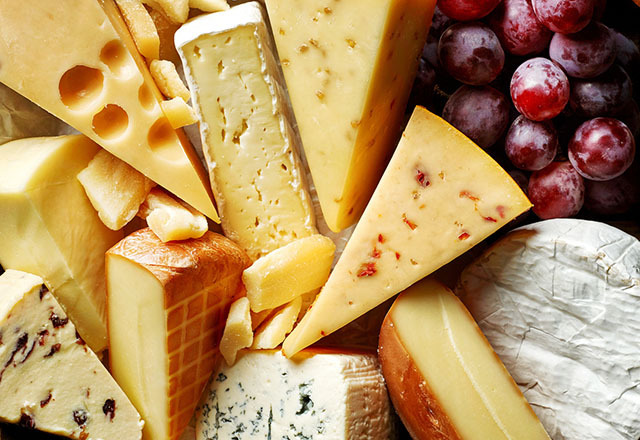 Crowding a cheese platter can be a good thing as it gives the sense of abundance – the more crowded the better! Combine both dried fruit, such as muscatels, with fresh Granny Smith apple slices and figs for textural contrast. Offer plain crackers as well as more interesting ones, such as fig toasts and oat cakes. Always aim to have a hard, soft and a blue cheese on your platter. Felix is a French restaurant, we have to recommend the strong stinky blues! Let the cheeses rest for 30 minutes out of the fridge before serving. Room temperature will greatly enhance the subtlety of flavours. Choose cheeses made from different types of milk, i.e. cow’s, goat’s and sheep’s, or mixed milk. Keep presentation high by cutting the cheeses on a separate board before transferring to your final serving platter. From sunken middles to serious cracks, many have tried and failed, but with our insider tips you’ll learn how to nail the iconic dessert once and for all.